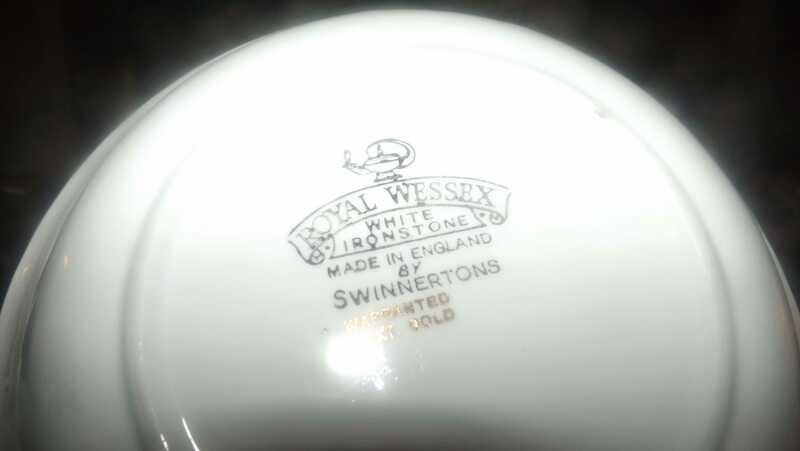 Vintage (1960s) Royal Wessex | Swinnertons SW129 cereal, soup, or salad bowl. 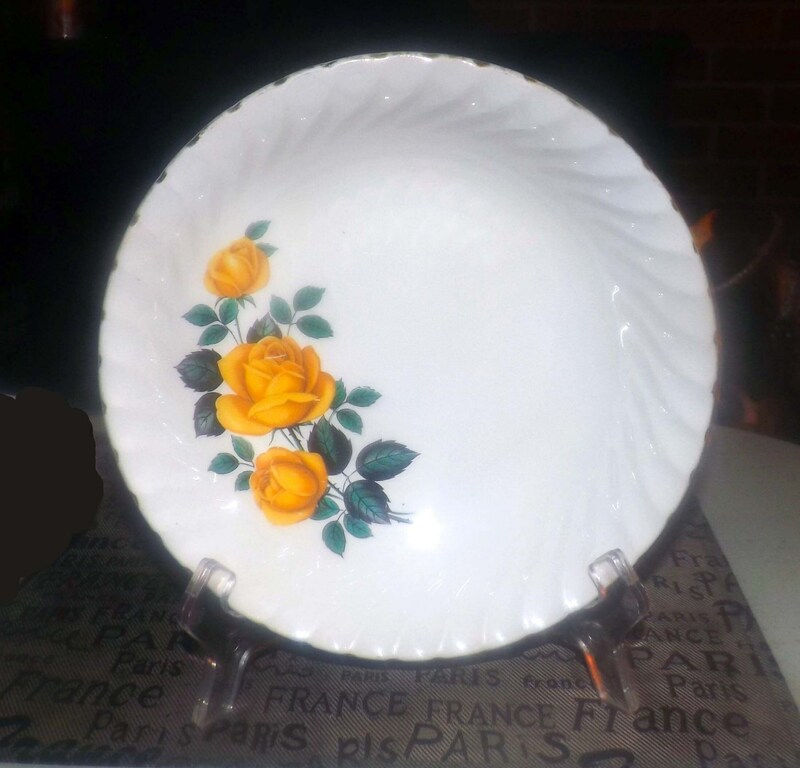 Yellow roses, 22K gold edge. 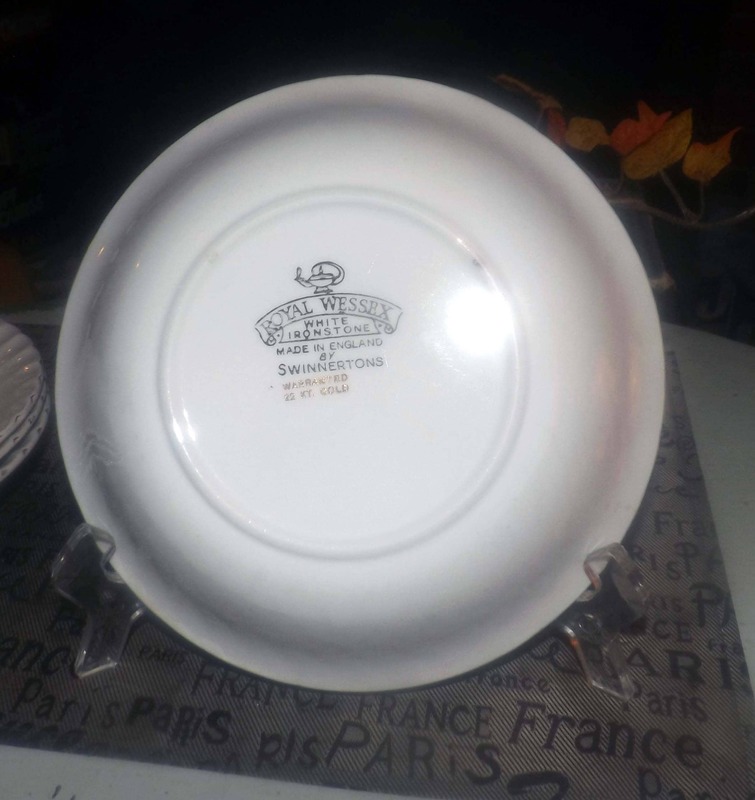 Vintage (1960s) Royal Wessex | Swinnertons SW129 cereal, soup, or salad bowl. 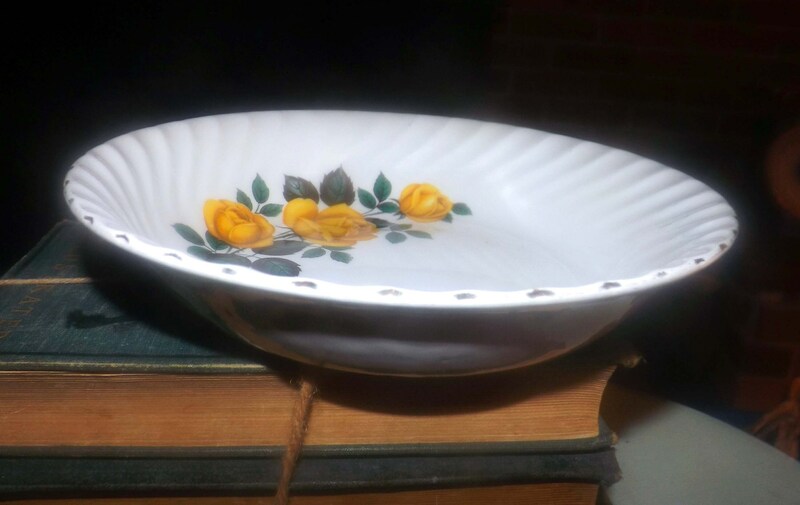 Large bursts of yellow roses with greenery set onto a pure white ground with a swirled verge and scalloped, 22K gold edge. In EXCELLENT! condition with NO! chips, nicks, cracks, or fleabites, LITTLE TO NO! crazing and LITTLE TO NO! loss to the 22K gold, scalloped edge. The yellow roses are bright and vivid with NO! fading apparent. 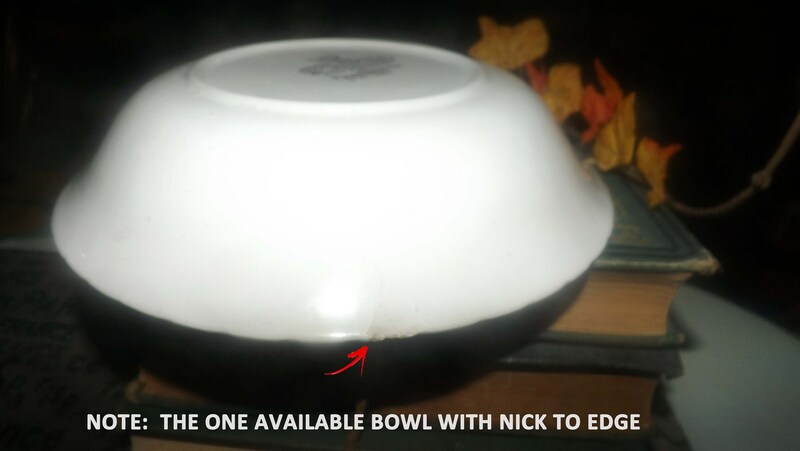 One bowl is available with a minuscule nick to the edge. 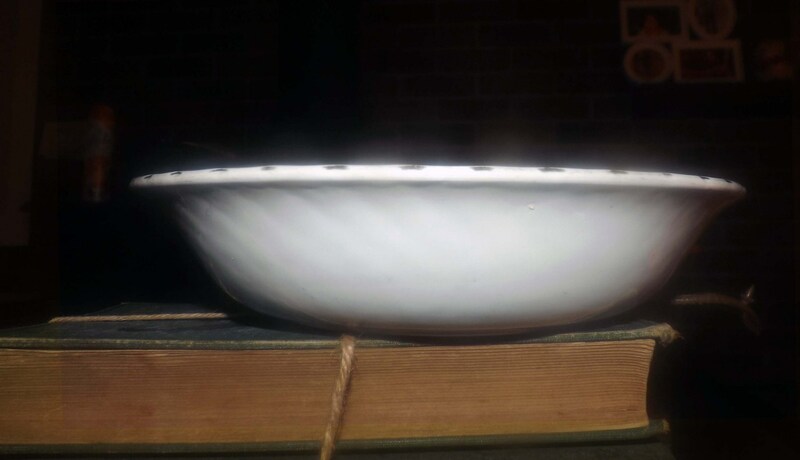 This bowl is offered at a slightly reduced cost. 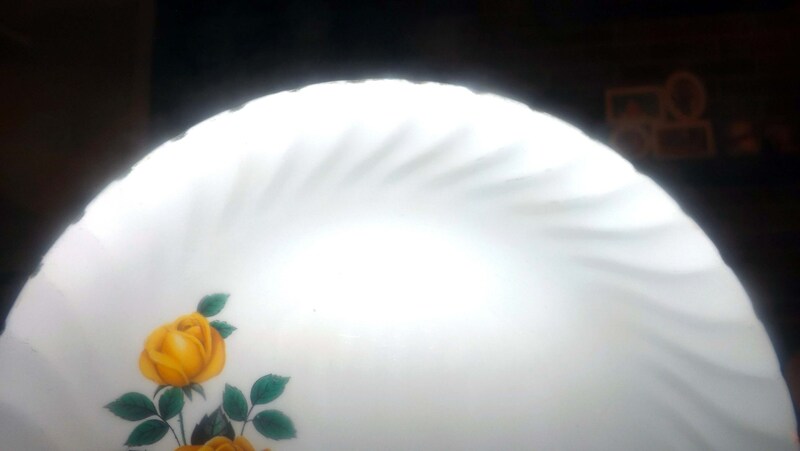 Please select your condition of bowl from the drop-down menu above. Approximate measurements: 8" in diameter x 2-5/8" deep.